The halls and classrooms of Washington Township schools soon will be filled with students and staff once again as the summer comes to an end. The new school year brings additional technology, security upgrades and new programs for the district. This year, the 1:1 laptop initiative, which was implemented at the high school level last school year, will be expanded to include grades three through eight. Much like the high school, middle school students in grades six through eight will take possession of their laptops with the ability to bring them to and from school. At the elementary level, students will have a dedicated laptop that will be theirs to use every day when they arrive at school, however they will not be authorized to take them home. According to Superintendent Joseph Bollendorf, the expansion of the program was initially expected for the 2018–19 school year, however he is “excited and happy” to have accomplished the goal a year in advance. Bollendorf said with the additional Dell laptops available for students, the district is in the process of transitioning from print to digital textbooks, an upgrade Bollendorf believes will “greatly enhance” what is available for students as online editions can automatically be updated. Digital textbooks also offer extra features, such as video or audio that can be beneficial across all subject matter. According to Bollendorf, students who are given laptops will also be provided with school email addresses, allowing teachers and students the ability to communicate about assignments, questions or school alerts. Bollendorf said before the end of the fall season, the vestibule in the Washington Township 11–12 wing would be completed, while additional security software is expected to come to fruition by the end of the school year. A new software program for the district will allow for all doors to be remotely locked with the push of a button located in each main office, as well as by smartphone, Bollendorf said. Also, whereas teachers were asked to place a red or green card under their door to indicate the status of their students in an emergency, the software will allow staff to indicate their status by smartphone. First responders will have access to this program and will be able to pinpoint where the emergency is located within the school. Further security enhancements would enable school cameras to shut off in an emergency situation, such as an intruder or active shooter, for example, and only turn on if activated by motion. According to Bollendorf, as the district faces potential state aid reductions in the coming years, at the “bare minimum” the district will see the implementation of the remote locking and communication software systems by the end of the 2017–18 school year. Washington Township High School will be partnering with the Gloucester County Prosecutor’s Office’s opioid program, providing county resources and information on addiction for students and families. At the elementary level, D.A.R.E. will return with a focus on choices and decision-making in regard to not only drugs and alcohol but also social media and relationships. Replacement of the high school football field turf has been completed, however the back-field turf replacement will begin at the end of the football season. According to Bollendorf, both fields were more than 12 years old and in dire need of improvements. “It’s going to be a beautiful facility for our community,” Bollendorf said. 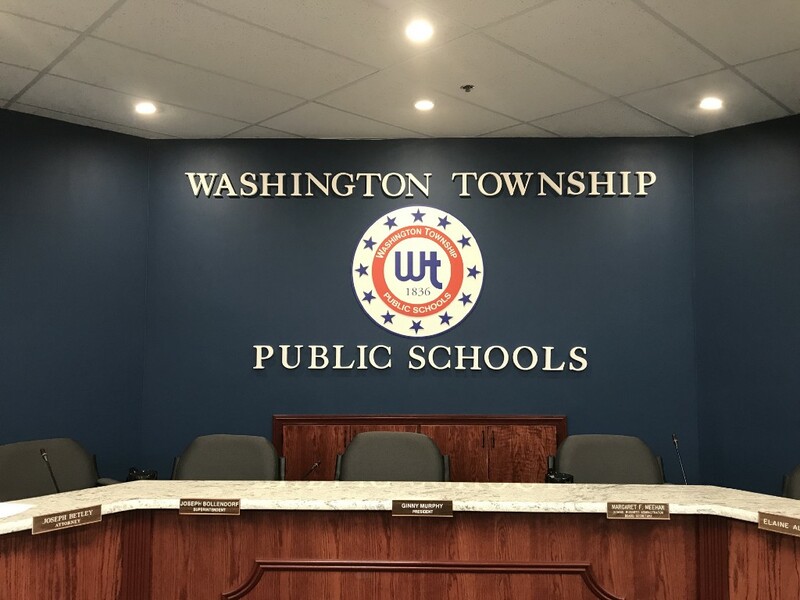 Academically, Washington Township High School students will have the opportunity to be honored with the addition of the Science National Honor Society, while students in grades kindergarten through second will now be issued report cards through PowerSchool. According to a release from the district, students in grades one through four will be introduced to an online “curriculum supplement” called First Math, while the district’s kindergarten through fifth grade science curriculum will coincide with the Next Generation Science Standards this fall. According to Bollendorf, this school year will be the first in four years the district will open without any unsettled contracts, and he hopes this will provide excitement and limit distractions for teachers and staff preparing to begin at the end of the month. Bollendorf said he is looking forward to witnessing the greatness that comes from student achievements, athletic performances, musical debuts and more during the 2017–18 school year. The new school year for students in Washington Township public schools begins on Wednesday, Aug. 30.